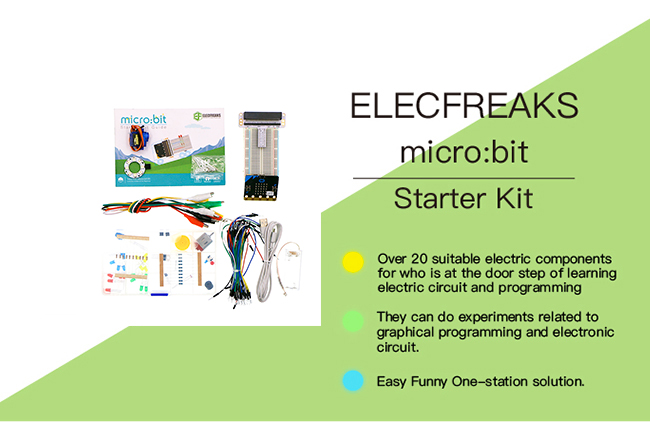 ElecFreaks Micro:bit Starter Kit is designed for people who is at the door step of learning electric circuit and programming knowledge. 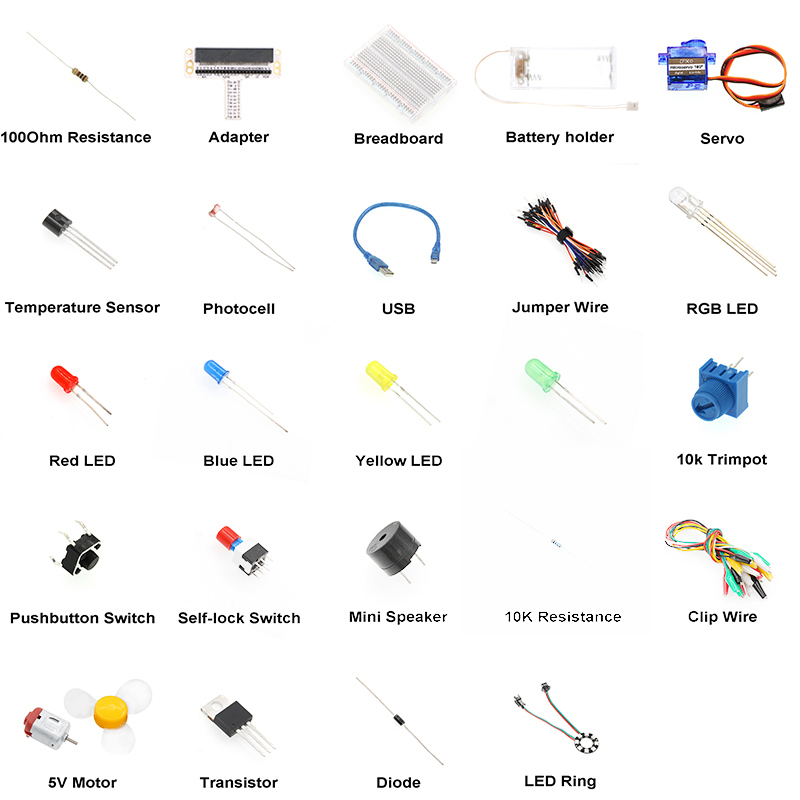 The kit has provided some basic electronic components like LED, button, buzzer, temperature sensor , steering engine and motor etc.. You can not only learn basic knowledge of these elements, but also use it to design circuit. 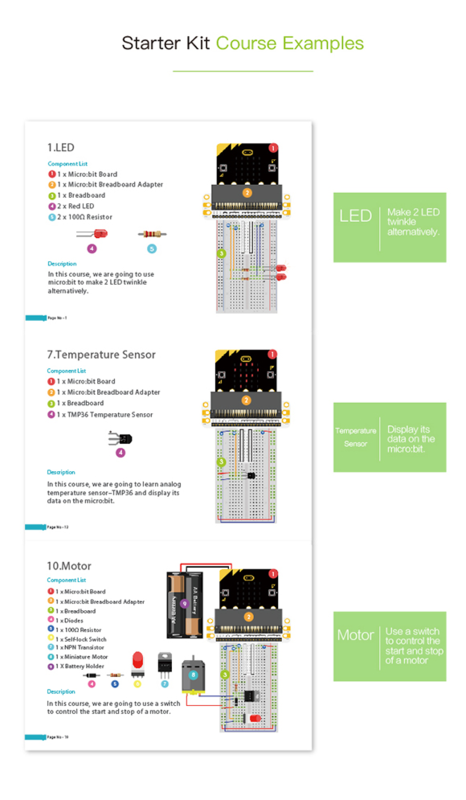 With the help of Micro:bit programming technique, your circuit becomes more animated.Micro:bit Starter kit can help you enter a wonderful of electronic world. ELECFREAKS micro:bit Starter Kit is tailor-designed for micro:bit experiment and programming beginners. 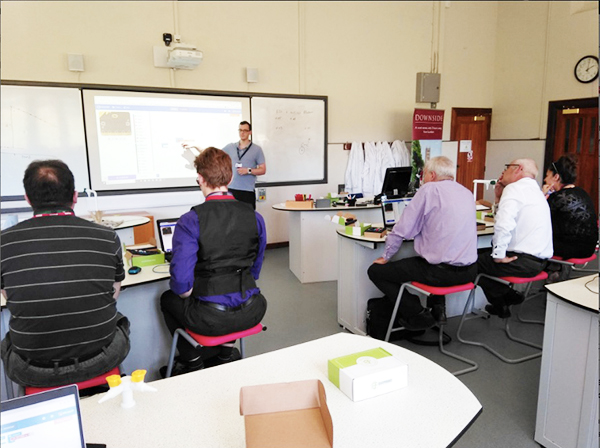 Abundant electronic components to help you start, including buzzer, trimpot, LED, servos, etc..
With all of the components, we offer 13 courses to enable users to master the principles of electronic circuits, components, and basic programming. Help you to lay a good foundation for more complicated STEAM study. Note: If you have Micro:bit board already, we have the same kit without Micro:bit board for you.